The White Water Park at Silver Dollar City in Branson is a perfect vacation destination during spring season as it extends swimming hours up to 10 pm. This fascinating Branson attraction is a great place to enjoy awesome wave pools, water slides, and other exciting water rides. Your spring escapade at White Water Park in Branson will always be full of wholesome fun and excitement no matter how hot the outside temperature is because you have many reasons to cool off on several water rides. With great features of 10 water thrill ride, this makes the water park a perfect place to enjoy spring vacation in Branson. As one of the most popular vacation spots in the Ozarks, this beautiful Branson attraction offers visitors a new water ride called the KaPau Plummet. This great water ride features two dueling 240-foot slides that launcheriders into a 70-degree plunge. KaPau Plummet surpasses any water rides built in Silver Dollar City. The thrill water riders in each of the 240-foot slides are sure to experience exhilarating and breathtaking water ride once they are encapsulated in a slide ride that begins from the top of the 40-foot tower. This exciting and heart pumping thrilling ride has a speed of 26 feet per second on a free fall. Spring day in Branson is always the best time to enjoy great water rides as it’s in this season where you can experience a relaxing atmosphere. Taking a break this spring season at White Water Park will let you enjoy an array of water fun rides and exciting attractions set in a vast 13-acre land. This spectacular water park in Branson features 2 million gallons of water of fun rides and exciting water activities. Here you will enjoy the tides from the wave pool comprising 500,000 gallons of water, the gentle flow of the Aloha River, Splashaway Cay, and Coconut Grove. Brave water enthusiasts are sure to enjoy as they test themselves in a fascinating water rides such as water blasters, speed water slides, and super soakers. White Water also features Kalani Towers, a 310-feet long slides which features a racing thrill slides of 6 lanes. The two lanes feature a 75-foot fall drop lanes while the other four lanes are used for racing with friends at a speed of 40 mph down from the height equivalent to 7 and a half storeys. 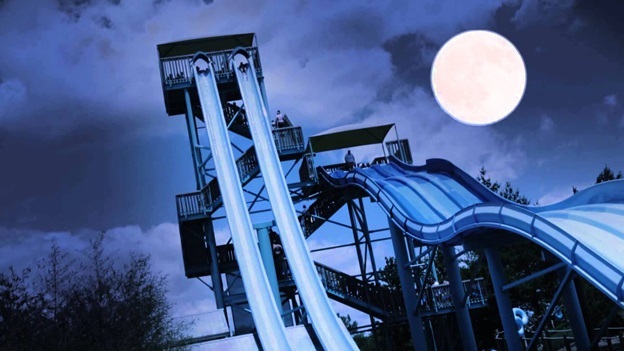 During spring season, White Water Park features Night Water events that provide aquatic fun well into the night with fireworks displays, Dive-in Movies, and more. The water fun ride won’t just stop at the fantastic water ride adventures – there’s always an opportunity to enjoy cold treats or hot meals at one of the many refreshing shops around the park. You can have the chance also to rent and relax in a private poolside cabana complete with locker, fan, and television. Water Water Park at Silver Dollar City is a great place to indulge with the family a fun and exciting water ride during spring season.